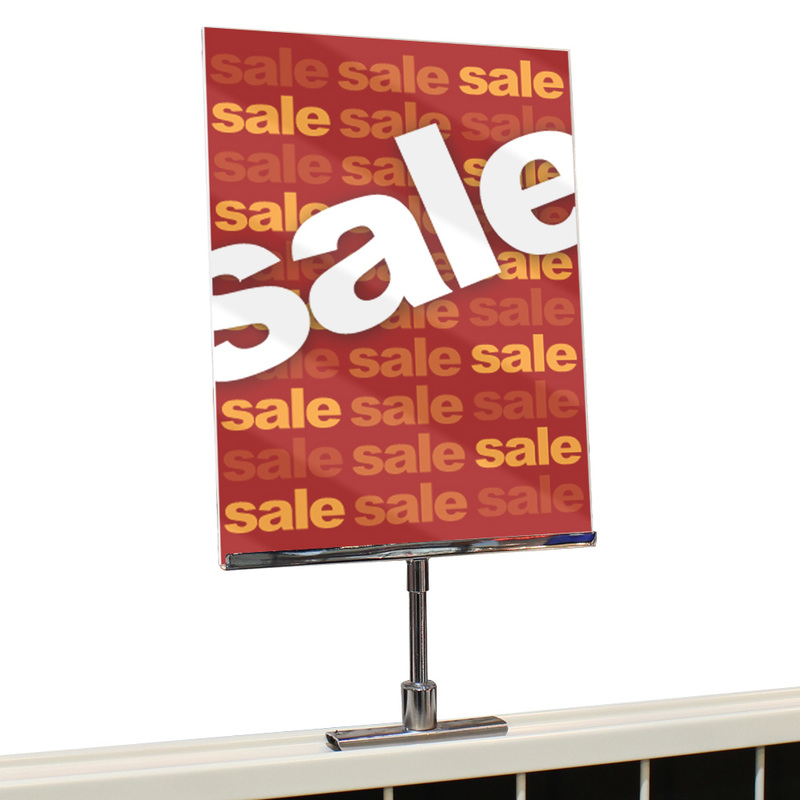 Acrylic sign holder sits on top of your Gondola to advertise specials. Simply slide in your sign then place the magnetic base anywhere along the top of your Gondola. 8 1/2 in wide x 11 in. 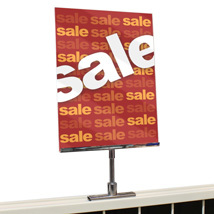 high acrylic sign holder with 9 in. stem and 3 in. long magnetic base. We can even make a custom sign specially designed for your store, call for details.